I waited way too long to attend my first writers conference. It’s my hope that this post will encourage other budding writers to take the formative step of attending a writers conference, and perhaps inspire veteran writers to keep coming back. Writing conferences are invaluable for connecting with people who share your passion. Writing is a solitary task, and meeting others who are on the same path is an affirmation that the struggle of words and stories is a valiant one. I always come away from a conference with a sense of kinship, that I belong to a tribe. You don’t have to have a polished, ready-to-submit manuscript to attend a writing conference. You can use writing conferences to workshop the first few chapters of a project, to get a barometer reading on the concept, voice, etc. You can benefit tremendously from professional critiques in the early stages of a manuscript, getting feedback on concept, direction, and voice. You learn the business of publishing at writing conferences, a must for anyone who is serious about following the traditional publishing path. You form friendships with writers with which you can exchange constructive feedback, bolster one another through tough times, and celebrate each others successes. In short, friendships that last a lifetime. Seek out writing conferences in your genre. I write for young readers and just returned from the Society of Children’s Book Writers and Illustrators Summer Conference. The Romance Writers of America have their own conference, as do the Mystery Writers of America. Have a goal and focus on those areas, such as craft, genre, or what agents are editors are looking for on their lists. Be open to new ideas and ways of approaching your current work in progress. Be open to suggestions for projects in age groups and genres you haven’t worked in…yet. Listen with an open mind. Simple, yet so important for professional growth. Introduce yourself to the people sitting next to you. You never know, they could be the best friend you’ve been waiting to meet. Relax, absorb as much information as possible, and enjoy the experience. DON’T hunt down agents and editors and force your manuscript on them. 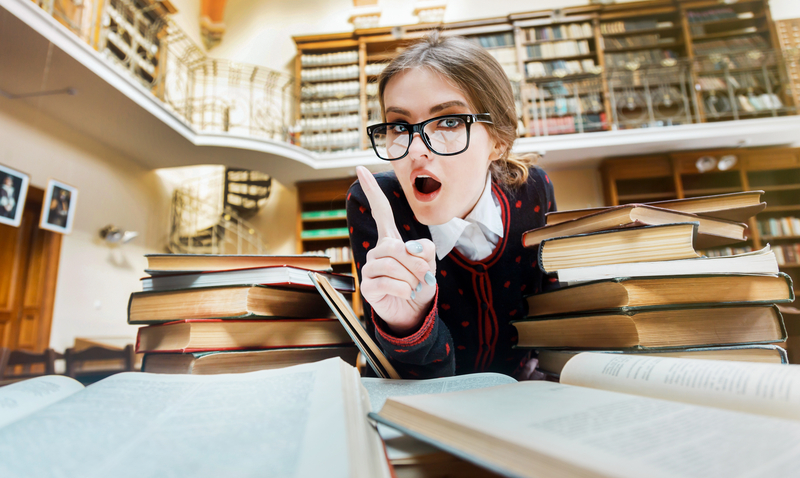 DON’T hunt down agents or editors at all, unless they previously requested that you do so. Don’t expect to sell your current manuscript for six figures. It could happen, but that’s the exception NOT the rule. Don’t be discouraged by suggestions and feedback from a professional critique. Instead, see them as positive ways to improve so you’ll be able to land your dream agent or book deal. Most of all, join the FUN ~ Wild Things could happen! Richard Peck was an influential voice for me when I started writing for young readers, and with good reason. 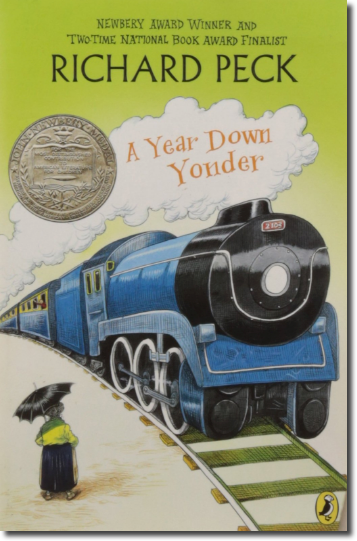 He was a National Book Award finalist TWICE, as well as claiming the Newbery Honor (A Long Way From Chicago) and Newbery Medal (A Year Down Yonder). Richard Peck was nothing short of a master and commander in the art of writing for young readers. Before becoming an author, Richard Peck was a teacher. His classrooms were filled with the young audience he’d later write for. He admitted that, “Junior-high teaching made a writer out of me.” Peck may have left teaching, but he never stopped sharing his wisdom. I was fortunate to have heard Richard Peck speak at a couple of Society of Children’s Book Writers and Illustrators (SCBWI) conferences. SCBWI even recorded a video Masterclass with Richard Peck on writing the novel for young readers too, that you can purchase for a reasonable price. At first I thought that was kind of harsh, so I did extensive research. I went to bookstores and libraries, reading ONLY first lines of books. As it turned out, he was right! The books with great first lines I took home and read. Don’t confuse a great opening line with over-the-top drama, though. A great opening line shouldn’t be about shock-value. When done right, it sets the tone of the story, reveals character, conflict, and theme. It’s the promise of the premise…distilled into one line. Richard Peck would revise his first chapter 24 times (or more), well after he’d completed the manuscript, to make sure it was right. Short stories comprised Richard Peck’s first published works, covering the gamut of comedy, tragedy, historical, and contemporary. 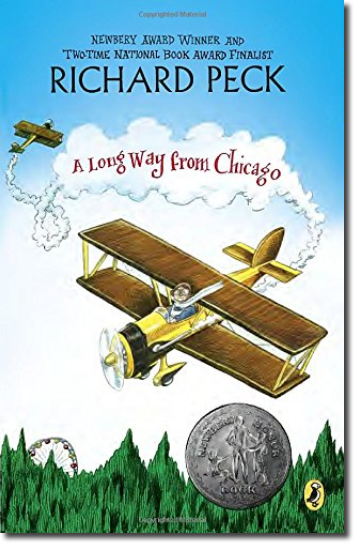 In fact, his short story “Shotgun Chentham’s Last Night Above Ground” was the inspiration for his Living in Chicago series: A Long Way From Chicago, A Year Down Yonder, and A Season of Gifts. 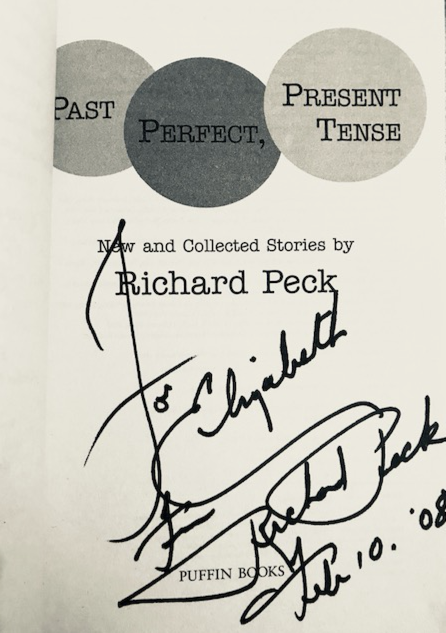 Peck’s collection of short stories, Past Perfect, Present Tense includes insights and advice for aspiring writers, along with some of his own notes. In the introduction, Peck reminds us that “fiction isn’t real life with the names changed. It’s an alternate reality to reflect the reader’s own world.” He also warns burgeoning writers that “a short story isn’t easier than a novel.” In truth, short stories require a type of samurai self-editing that is not for the weak of pen or faint of heart. Before you write a single word, know your audience. 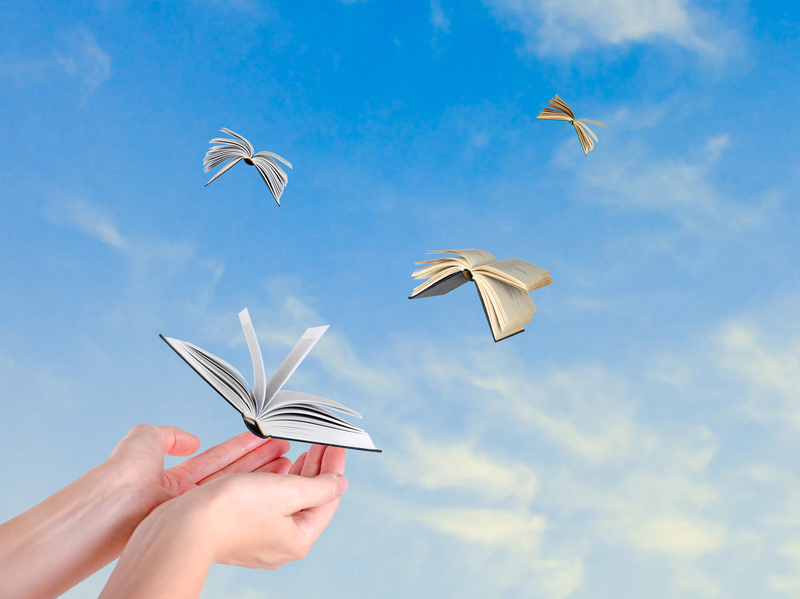 Who will want to read the story you have to write? A story isn’t what is. It’s what if? Fiction is never an answer, always a question. A story, of any length, is about change. The characters can’t be the same in the last paragraph as they are in the first. If there’s no change, there’s no story. The essence of the entire story should be encapsulated on the first page. The first chapter is the last chapter in disguise. The story’s beginning should answer each of the following questions with a satisfied “Yes”: Does it intrigue? Does it invite? Does it work? Strong, colorful characters win over readers, like the quirky, audacious, and warm-hearted Grandma Dowdel in a Long Way From Chicago. An outrageous comic outhouse calamity is often the reason a story is recommended, word-of-mouth over and over again. 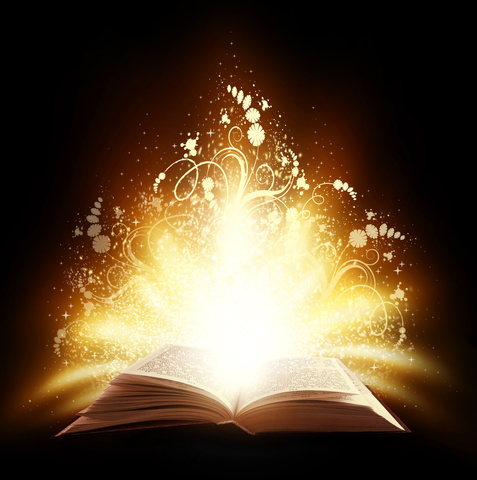 Memorable scenes create loyal audiences and inspire lifetime readers. 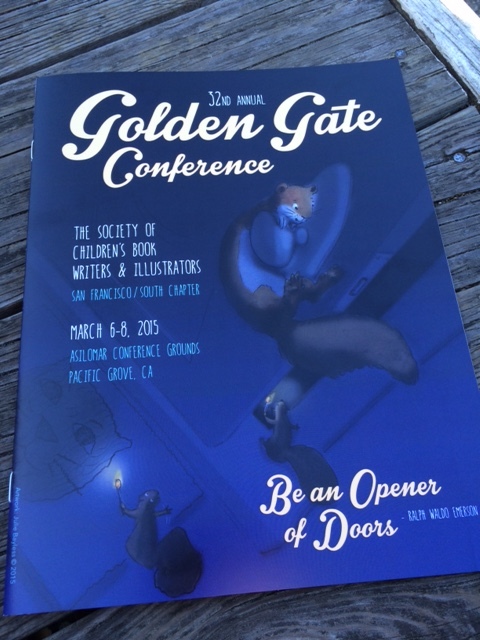 The SCBWI San Francisco/South Golden Gate Conference (at Asilomar) was earlier this month, my first conference in over a year. Such an amazing conference! I can’t believe I was so short-sighted, to go that long without attending a writing conference. Oh sure, I had the standard rational excuses, that made perfect sense. Taking a year off from writing conferences would save time, money, and effort that would further my work in progress. What I totally forgot, was how invaluable it is to connect with people who share the same passion. Writing can be such a solitary journey. I always come away from a conference with my creative energy renewed, and a feeling of deep kinship with others who are called to the writing journey. Initially, I think of conferences as motivational milestones for my current work in progress (WIP). I admit I am motivated by fear. So when I sign up for a professional critique, I am dangling a figurative hatchet over my head. I will work harder than ever to deliver the best possible pages by the submission deadline, out of fear of public humiliation. I put my self through this trial, because feedback from the editor of a major publishing house is invaluable. I always come away from such a critique with tools for improving my craft, and a clear path for strengthening my story. Just as important as professional level feedback though, are the insights that arise from the talks and workshops given by the conference’s faculty. We’re in the business of amazement. Language is music … music is language. E.B. Lewis delivered the most profound insight (for me) with his presentation on the language of pictures. He explained the components of an image that make it a story: narrative (plot), emotion, and anticipation (what’s next). A light bulb went on in my head when I realized that these are the same elements that comprise a well crafted scene in fiction. Stories aren’t bound by format or medium. E.B. Lewis told us of a young boy who said he “writes the pictures”. We writers, paint with words. 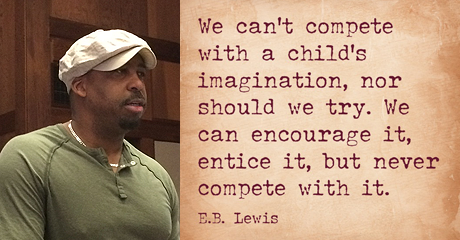 Creativity is contagious, and the synergy at conferences is nothing short of miraculous. Sparkly new ideas dart about like fireflies, lighting new pathways of possibility. I learn something from everyone I meet at a conference, and the connections forged can blossom into friendships that last years. If you’ve ever thought about writing for young readers, join SCBWI now. SCBWI provides extensive professional resources to its members. You won’t find a more welcoming and supportive group. And they’re super fun. I feel fortunate to have found the Society of Children’s Book Writers and Illustrators (SCBWI). They are my tribe, my people. 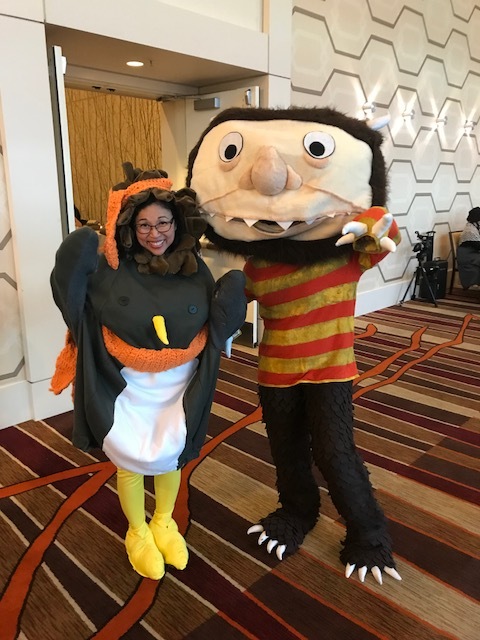 This year’s SCBWI Summer Conference in Los Angeles (August 1-5) was the ultimate blend of inspiration, guidance, and professional advice for children’s authors and illustrators. All the workshops were amazing, but one was particularly memorable for its advice and inspiration: Comedy Comes from the Heart, with Henry Winkler and Lin Oliver. Henry Winkler is an actor, producer and director, who is best known for his role as “the Fonz” in the 1970’s television series “Happy Days”. Though he is quick to tell you that he’s most proud of writing books for young readers. 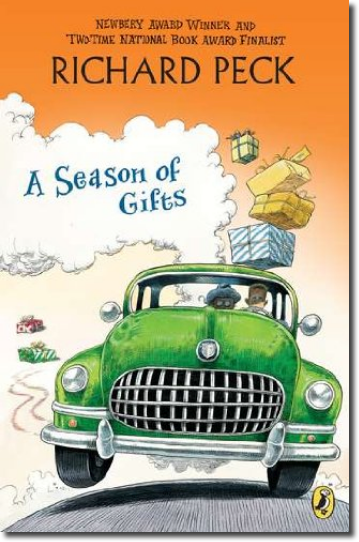 Lin Oliver is the co-founder of the Society of Children’s Book Writers and Illustrators, a long-time television writer, and a well published children’s author. 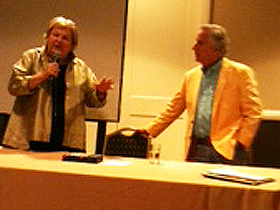 Henry Winkler and Lin Oliver are two of the funniest people on the planet. Put them together in the same room and it’s no wonder things spiral virally into the hilarious. 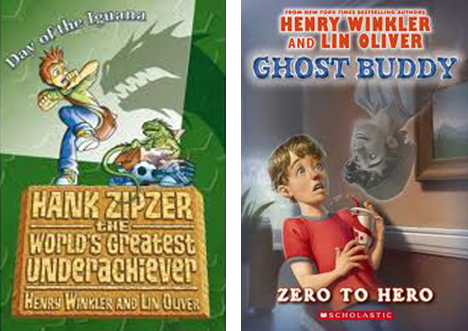 This dynamic duo teamed up to write 17 books in the Hank Zipzer: World’s Greatest Underachiever series, and have completed four books in the Ghost Buddy series. They are both are hilarious, and they know how to translate that humor onto the written page. You can read my review of Ghost Buddy ~ Zero to Hero here. Write what makes you laugh. If you think something is funny, someone else will think so too. Write what you know is true. Don’t try to write what you think will be funny for a particular audience. Young readers know when humor is not authentic. There are different types of humor, such as character humor, physical humor, observational humor. Write the type of humor that works for you, what you think is funny. What makes you laugh the most, also makes you cry the most. 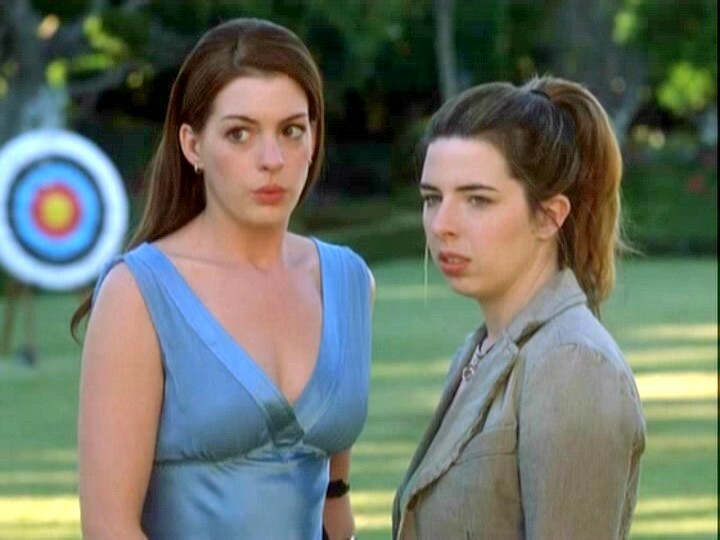 Good comedy always has a cringe-worthy (pathos) moment. Write from your own experience. Mine your own life for “most embarrassing” moments. You have to love the character you’re putting in comedic jeopardy, or else it comes off as being mean. You want your audience to laugh with the character, not at him. Good comedy must have tension, just like good drama. Specific details are almost always funnier than generalizations. For example: Principal Zumba has a mole. Or… Principal Zumba has a mole shaped like the statue of liberty that looks like it’s doing the hula whenever he talks. Don’t edit yourself on the first draft. Go with your first impulses. Craft the humor afterward. Use improv to get into the character’s voice. Henry Winkler showed us how a slouch and a tilt of the head, brought out “the Fonz” in his voice. Titles are very important to young readers. Take the time to craft a terrific title. “Trying” to be funny is a formula for death. Write down 25 things that made you laugh, then analyze each instance for the elements that made it funny. There’s many ways to do things. You have to be courageous enough to do things your way. 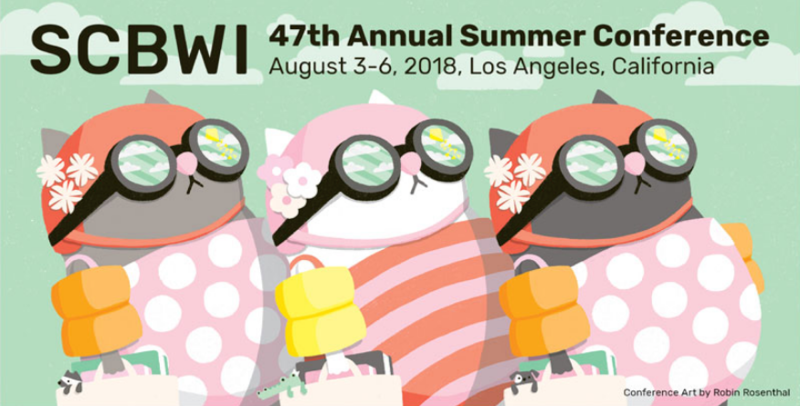 For information on some of the other amazing workshops at the LA13 SCBWI Summer Conference, you can read the official SCBWI blog. Magic happens at writers’ conferences… So it was no surprise that the air was sparkling with it at the “Practically Perfect” NY13SCBWI Winter Conference. Seriously. How could it not, with Julie Andrews (a.k.a. Mary Poppins) and her amazingly talented daughter Emma Walton Hamilton as keynote speakers? Julie Andrews has been writing wonderful books for children for forty years–on top of launching the Julie Andrews Collection–and has collaborated with her daughter on 27 titles. To read the SCBWI blog on their presentation, go here: “It Takes Two”. You won’t want to miss it. It’s awesome! 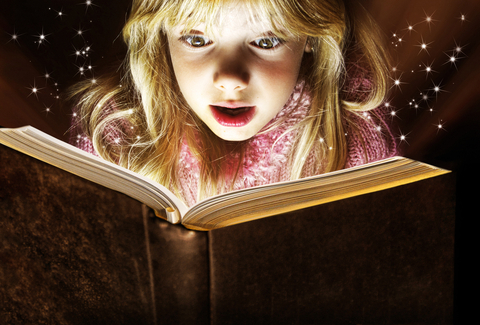 What book influenced you the most growing up? Four words: It rocked my world. That book opened a doorway to magic, imagination, and adventure, and I could go there any time I just by opening the pages. Pretty powerful stuff. For Julie Andrews, that book was “The Little Gray Men“. She loves that story so much, that she brought it back into print in the Julie Andrews Collection. For the person asking the question, it was Julie Andrews’ first book, “Mandy“. For me it was “The House at Pooh Corner“. I was in the third grade, and the silliness of the story and clever misspelled words, like “rox” and “Wol” won me over instantly. And all the endearing characters were my new BFFs. My fourth grade teacher read “Charlotte’s Web” to our class, and I fell in love with Wilbur and Charlotte. I’d never really cared much for pigs until then, and I’d been terrified of anything spidery. One story changed all that. 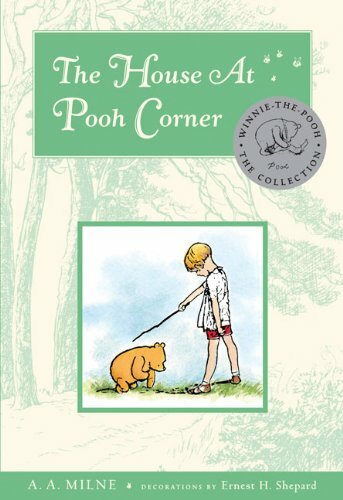 There have been many books since… But “The House at Pooh Corner” will always be my first; the book that was the key to a world of wonder. What book rocked your world? Don’t be shy. You’re among friends here. And don’t be afraid to tell us about more than one treasured story that changed your life! 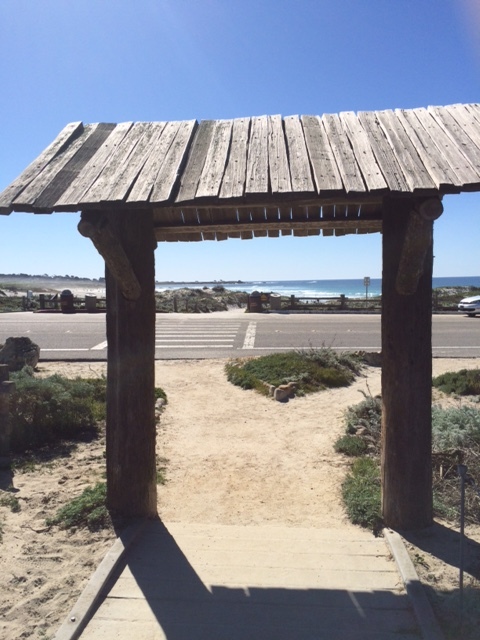 I attended a Society of Children’s Book Writers and Illustrators (SCBWI) writers retreat this past weekend in Southern California. It was a working retreat, where aside from critiques and talking with editors one-on-one, the Young Adult (YA) and Middle Grade (MG) authors participated in hands-on workshops for developing richly layered characters. Something I need to work on, and I learned A LOT! In the initial stages of defining a character, if you’re like me, you focus on the character’s strengths. What their good at, why people like them, how they affect the people around them in a positive way. That’s all good. But for a character to be fully developed and believable, you can’t gloss over their flaws. That’s because it’s the flaws that make a character likeable. Their faults are what we relate to, why we fall in love with the character. 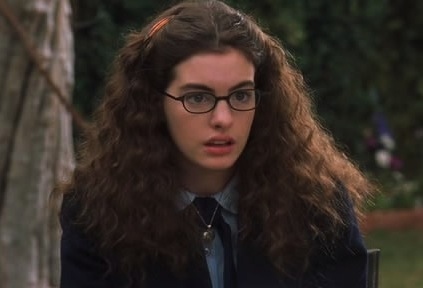 Take Mia Thermopolis‘ klutziness in the Princess Diaries, for example. Her dorkiness is what endears her to us, because we’ve ALL been there. At one time or another. 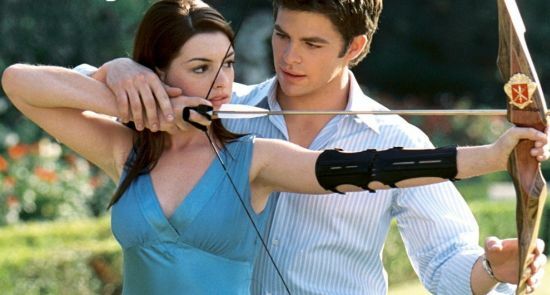 One reason I love Meg Cabot’s books, is that she is a master at developing quirky, well-rounded characters. But of course, to draw us in so we care about a character we can’t insert a bulleted list of good and bad traits. We have to layer in them so the traits are discovered through actions and reactions to other characters. Just like us, characters won’t interact with everyone in the same way. What a parent says will piss them off. However, a friend can say the same thing and the character takes the advice to heart, or laughs it off. Defining a character through their interactions with the people around them — their circle of influence (COI) — is what makes them believable. Another tool for building a character with greater emotional impact is to use traits that go against type. For example, in one workshop at the retreat we wrote a scene with two characters that showed their flaws. I chose a paranoid, arrogant, and tad superstitious Jiminy Cricket pitted against a perfectionist Pinocchio who was theatrical and self-righteous. So not the Disney classics, but that’s the point. …characters speak to conceal rather than to reveal. That’s subtext … and a whole other topic … for another blog. What character is most memorable for you (film or fiction) and why?